Funded by the United Nations Framework Convention on Climate Change (UNFCCC), the Global Climate Fund (GCF) was established to help developing countries achieve national efforts to reduce national greenhouse gas (GHG) emissions and adapt to the unavoidable impacts of climate change. The GCF is part of a united global response fuelled by the urgency and seriousness of the climate change challenge. That clarion call gained momentum worldwide after the 2015 Paris Agreement in which signatories agreed to collectively tackle climate change through the mechanism of implementing nationally determined contributions (NDC), a country's tailored efforts to reduce its emissions and enable it to adapt to climate change-induced challenges. "Ethiopia is one of the few countries that have submitted a very ambitious and conditional NDC to the UNFCCC," says Zerihun Getu with Ethiopia's Ministry of Finance and Economic Cooperation. "Ethiopia aims to cut 64 percent of emissions by 2030 and build a climate resilient and middle-income economy." "Projections indicate that with population and economic growth, Ethiopia's level of emissions will grow significantly, from 150 million tonnes in 2010 to 450 million by 2030," Zerihun tells IPS. "Hence Ethiopia should focus both on mitigation and adaptation measures in order to reduce emission as well as build resilience and reduce vulnerability to the impacts of climate change." Approved in October 2017, Ethiopia's GCF-backed project will be implemented over the course of five years at a cost of USD50 million—with USD5 million co-financed by the government—to provide rural communities with critical water supplies all year round and improve water management systems to address risks of drought and other problems from climate change. Guidance on the project's implementation is coming from the Global Green Growth Institute (GGGI), a treaty-based international organisation that promotes green growth: a balance of economic growth and environmental sustainability. This is what the Ethiopian GCF project seeks to mitigate, hence its focus on improving economic and social conditions for women. Over 50 percent of the project's aimed for 1.3 million beneficiaries will be women, with 30 percent of beneficiary households being female-headed. Despite there being some scientific uncertainty about how the naturally occurring El Niño event and human-induced climate change may interact and modify each other, Ethiopia has experienced enough climate-related trouble so that its government doesn't want to take any chances. "The government's goal is to create climate resilience within the context of sustainable development," says Mitiku Kassa, Ethiopia's state minister of agriculture and commissioner for its National Disaster Risk Management Commission. "Then, one day, we will be able to deal with drought without any appeals." In addition to challenges posed by El Niño, most of the world's scientific community agrees that long-term significant changes in the earth's climate system have occurred and are occurring more rapidly than in the past. 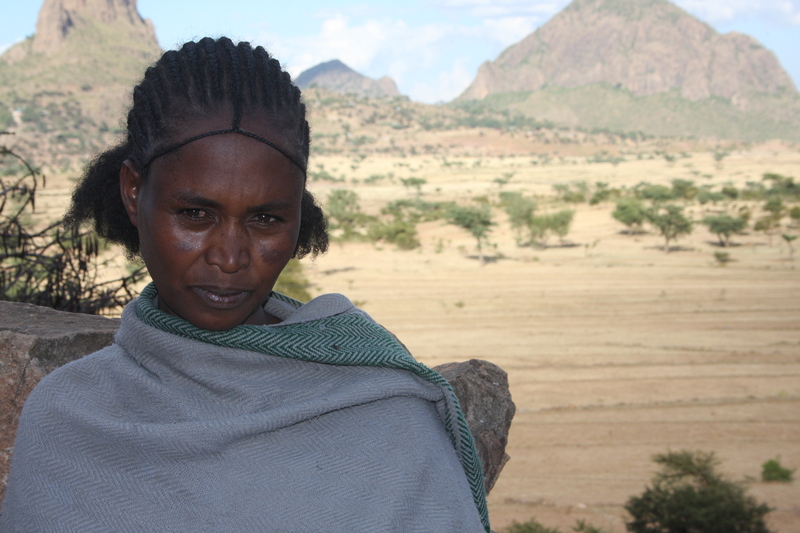 Furthermore, continued emissions into the earth's atmosphere are projected to cause further warming and increase the likelihood of severe, pervasive and irreversible effects on every continent, including increasing temperatures, greater rainfall variability with more frequent extremes, and changing the nature of seasonal rainfalls—all of which threaten Ethiopia's agricultural backbone. It's not just scientists making such claims. Ethiopian pastoralists in their seventies and eighties who have lived with frequent droughts say the recent ones have been the worst in their lifetimes—and they aren't alone in noticing worrying trends. "While working in Central America, East Africa, and the Middle East, I've always talked to elder people, especially those in agriculture, and the message from them is consistent," says Sam Wood, Save the Children's humanitarian director in Ethiopia. "Weather patterns are becoming less predictable and when rain comes it is too much or too little." "We're working with GCF in Senegal and Tajikistan we think their work will be vital," the World Food Programme's Challiss McDonough tells IPS. "WFP's goal of ending hunger cannot be achieved without addressing climate change." But the GCF can only do so much. The overall bill just for empowering Ethiopia to effectively respond to climate change is estimated at USD150 billion, Zerihun notes, a sum that can only be achieved through "huge investment." "Ethiopia allocates its domestic resources for climate actions should also mobilise support from international communities including the GCF to realise its vision and achieve its NDC targets," Zerihun says. "The GCF will make a significant contribution to Ethiopia's vision through financing projects and programmes as well as through helping Ethiopia build capacity to mobilise other climate finance sources and leveraging other investment."